Image | This entry was posted in Health & Medical, Tid-Bits & Funnies, ~Dieting and tagged absorb, blood, body, cells, clear, colon, fight, fluids, glands, glowing, increase, Infection, loss, lymph, metabolism, muscle, new, pure, purifies, skin, toxins, weight. Bookmark the permalink. Something that is very important and what I should keep in mind quite often. 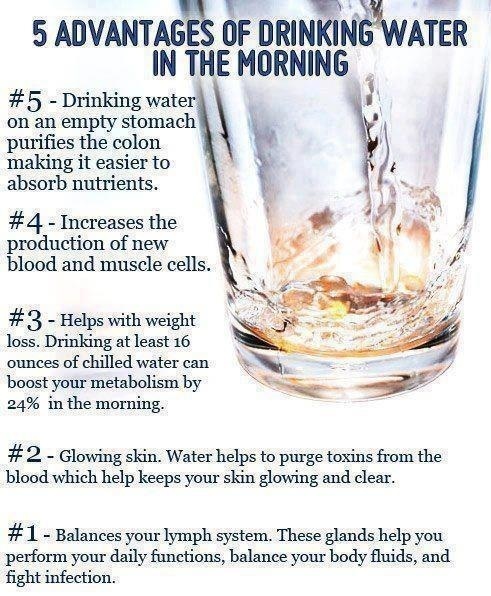 For those of you who do not consider water as an important source of fluids (you know who you are) consdier this and maybe you’ll feel a difference in your stomach in the morning.